Forever live within mankind, but transcend the mundane. While going through the pages of the last issue of Stanford magazine, I came upon an article about the South Korean musician star Daniel Lee, also known by his stage name Tablo. He is the frontman of premier Korean rap group Epik High and is one of the top celebrities in Korea. Although I am not a fan of rap and hip hop music, I found Tablo's story quite interesting. Tablo graduated from Stanford University with both B.A. and M.A. degrees in English and Creative Writing in just three and a half years. As a Stanford graduate myself, I know very well that it's completely possible to obtain both of these degrees at the same time, thanks to the flexible study program in Stanford. However, a group of internet users in South Korea have launched a huge campaign attacking Tablo's academic credentials. The campaign against him exploded in South Korea in Spring, 2010 and became front-page news for several months. Many Koreans refused to believe that Tablo obtained Bachelor's and Master's degrees from Stanford and accused him for fraud. All this has caused Tablo and his family extreme distress. They received numerous threat calls, all his concerts were canceled and he faced a big challenge in his life. 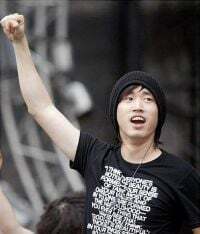 Then, in August, 2010 Tablo visited Stanford University to clear himself by reprinting his documents on camera, and the Stanford professors attested to the validity of his academic background. Tablo filed suit against 20 of his most virulent attackers. By October, the prosecutor in South Korea determined that Lee was who he said he was. 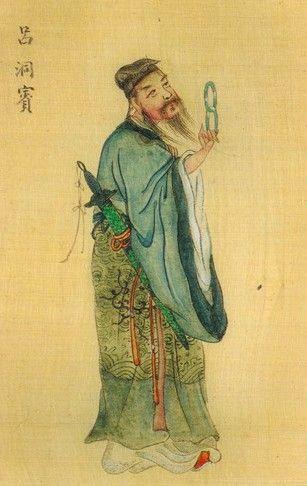 One of the most striking symbolic stars in Tablo's chart is Wen Chang 文昌- the star of music, literature and academics. If the education-obsessed Korean society was aware that Tablo is born with this lucky star, perhaps it will be able to better understand why he got his academic degrees from Stanford. The Wen Chang star helps one much more easily than the others to be accepted in a top university and achieve academic success. It also facilitates the study process. Wen Chang indicates literature and music talents and success. We can easily see that Tablo has a weak day master - Bing Fire with 3 times Metal in the natal chart. Last year, when he got all these problems, was the year of Metal Tiger (Geng Yin). Thus, more Metal accumulated to reduce his Fire energy. Besides this, the current year (Tiger) and the branches of his day & year pillars of birth (Monkey) are in clash. This clash is very intense. Tablo's problems started in March, when it was also the Tiger (Yin) month. So we have a double clash of Tiger (current month and year) and 2 Monkey (from his natal chart). During such powerful clashes one can experience turbulent time and changes in life. It's interesting to notice the direction of this clash in Tablo's chart: the Yin (Tiger) is actually attacking the Shen (Monkey) branch that represents the Wen Chang star. In other words, the attacks and the accusations were directed toward Tablo's academic background. Meanwhile, the Yin - Shen (Tiger-Monkey) clash also represents the Horse star (Yi Ma). The Horse star often means movement, changes and traveling. In August, the same year, during the month of Shen (Monkey) - when his Horse star was activated - Tablo went to the States and visited Stanford where the professors justified in front of the camera that he is a Stanford graduate. Here the Horse star played the necessarily role of traveling that brings change in one's situation. And for Tablo this was a good visit with a positive result.